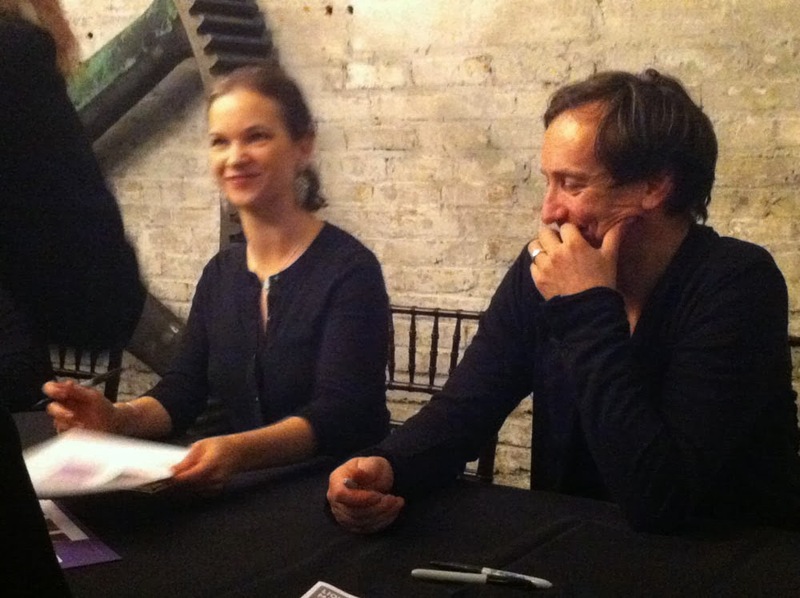 “Silfra,” the album released in 2012 by virtuoso American classical violinist Hilary Hahn and German experimental pianist/composer Volker Bertelmann, known as Hauschka, has become one of my favorites. But it’s not what we heard when the two performed live in Minneapolis. Like the album, the concert was almost entirely improvised. Like the album, it was thrilling. 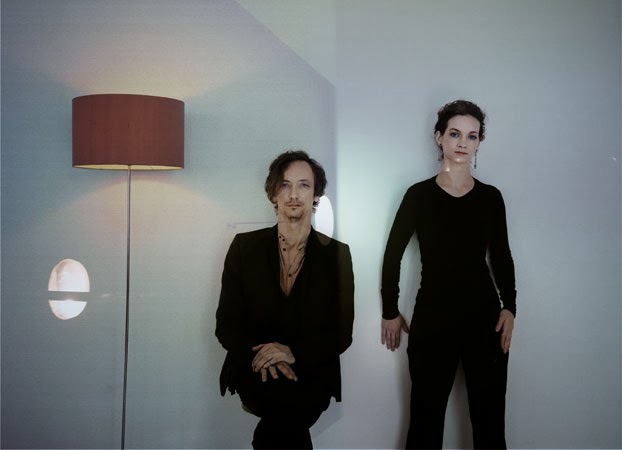 The first concert in a new series called Schubert Club Mix (from the Schubert Club, a 131-year-old presenting organization known mainly for its classical International Artist Series), “Hilary Hahn and Hauschka: Silfra” was successful in every way. A partnership with the Saint Paul Chamber Orchestra’s Liquid Music series, it drew a sold-out crowd of more than 500 people to Aria in Minneapolis, a unique event space in the Warehouse District, for 80 minutes of music they will never hear again. Introduced by a mutual friend a few years back, the violinist and the pianist – Hauschka plays prepared piano, its sound altered by objects placed on or between the strings – hit it off, did some performing together, and eventually met at Valgeir Sigurösson’s Greenhouse recording studios in Iceland, where a lot of interesting roads seem to lead (Nico Muhly, Ben Frost, and Sam Amidon have all recorded there). They worked with Sigurösson for ten days, and “Silfra” was the result, 12 tracks of inventive, joyful, minimalistic, mournful, unpredictable soundscape. Hahn’s violin soars over Hauschka’s piano, itself a small orchestra of singing notes, bonks, clanks, rattles and buzzes. At Aria, both musicians are curious, questing, hyper-alert, ready to take chances. It seems that Hauschka assumes the lead, laying down cushions of rhythm and sound for Hahn to play on. They are excited to be there, and happy, and relaxed before the crowd, willing to tell us something about themselves and their process. “My temperament is higher because I’m traveling for the first time to Minneapolis,” Hauschka says at the start, then wonders aloud at the vastness of our Midwest; he had played the Friday before at Cincinnati’s Contemporary Arts Center, and Saturday in Chicago at Constellation. Hahn had flown in that day from Miami, where she played a program of Verdi, Mozart and Prokofiev at the Adrienne Arsht Center the night before; she spent part of the day having her dress steamed. Their collaboration is even more seductive live than on recording. He plays a repetitive figure on the keys; she takes short stabs and jabs at the strings. Melodies emerge, but only briefly. He thunders; she flies so high her notes almost pass out of hearing range. Moods shift from anxiety to melancholy to glee. They watch each other carefully and listen hard, responding in the split second, changing directions on a dime. They smile often. An evening-length concert of prepared piano opens your ears to the instrument, because it is a real instrument, not a joke or a toy, and not (as some think) a crime against a perfectly good piano. A prepared piano is both keyboard and percussion array. It’s an instrument that offers randomness and spontaneity; the things inside it jump around and move, depending on what they’re made of and how they’re placed. (On the other hand, there's no doubt that Hauschka knows exactly what sound will result when he prepares certain strings in certain ways.) Chopsticks and skewers, ping-pong balls, rattles, shakers, clamps, clips, nuts, bolts, screws, bottle caps, erasers, plastic cups, bits of foil or leather, foam or clay, dental floss, rubber bands, small cymbals or tambourines, candy boxes, paper wads, sheets of paper, cardboard, forks, spoons, strings, copper … all create new timbres and pitches when keys are struck, or dampen the sound. A prepared piano is piano-plus, piano 2.0. More people should play it. Toward the end, Hauschka does something dramatic and unexpected: he starts pulling things out of the piano and tossing them on the floor. He unprepares the piano while Hahn comps on her violin, softly hitting the strings in groups of four beats. Wooden sticks, bits of wood and tape, and other items are brought out and discarded. It’s like a phone booth full of clowns. Soon the piano is naked, but in a Rubenesque way, all solid flesh and curves. The Steinway emerges in full voice and deep, romantic chords on the slow, stately piece Hauschka plays while Hahn’s violin keens and shimmers overhead. Just before the splashy encore, he quickly adds a few pieces of gaffer’s tape to the strings. “You didn’t have to work very hard to bring us back,” she says – not meaning that we were lazy with our applause, but that they wanted to return. 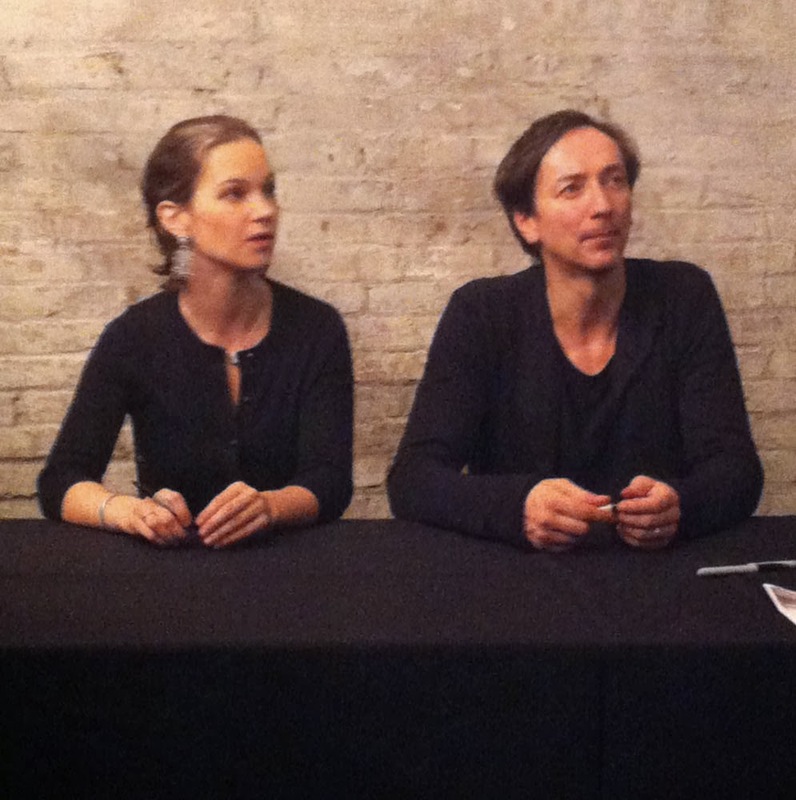 The Hilary Hahn and Hauschka: Silfra concert was performed Sunday, January 12, 2014 at Aria in Minneapolis, MN.